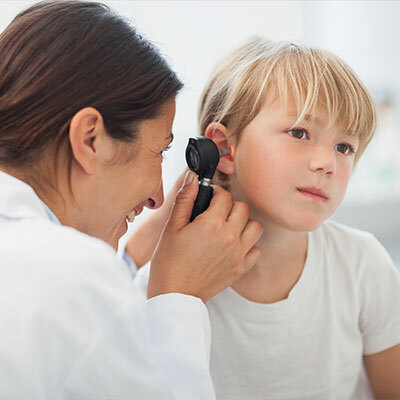 Most ear infections are caused by inflammation or mucus that builds up in the eustachian tubes. Infections, allergies, and impinged nerve communication to the ears can also have a direct link to ear infections. Eustachian tubes are also connected to the throat and the nasal cavity, which is why a person experiences plugged ears when they have a stuffy nose. The bacteria that builds up in the nose can also extend to the ear, causing infection and drainage. If there is inflammation in the muscles near the eustachian tube, fluid may not be able to drain properly from the ears. In fact, the muscles that support the eustachian tube are directly impacted by the nerves that extend from the C1 to C4 vertebrae. Also, cervical subluxations near the C1 to C4 vertebrae may likely produce tension in those muscles, which may affect the eustachian tube size and prevent proper drainage. At Zemella Chiropractic in Santa Barbara, our chiropractors may be able to help resolve discomfort from ear infection pain. Chiropractic patients can be treated at any age for ear infections by allowing a chiropractor to tend to the normal functions of the neck tissues and making them stronger to allow them to function properly. This can help reduce pressure from the eustachian tube and help prevent fluid buildup. To learn more about how chiropractic care can help you find relief for an ear infection, call Zemella Chiropractic in Santa Barbara at (805) 324-6500 to schedule an appointment today.